The Real Food Calculator is a revolutionary tool students use to audit their campus’ dining purchasing. 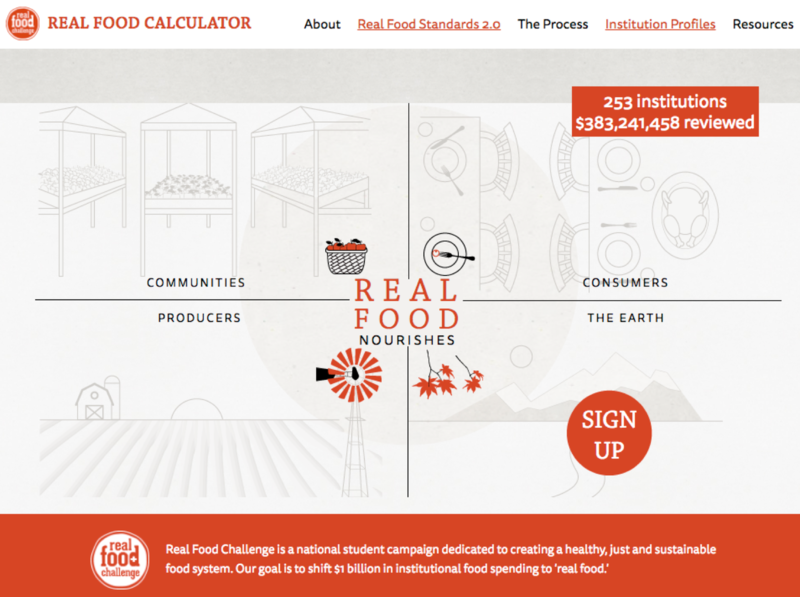 Built around our Real Food Standards, the Real Food Calculator is still the first and only web application of its kind - students collect invoices from their school’s dining manager, research the invoice line items against our Standards, and input their research into our Calculator application, which analyzes their campus’ purchasing patterns. To date, over 1000 student researchers have researched over 570,000 unique food products, amounting to over $330,000,000.00 in campus dining purchases researched. Over 200 institutions of higher education are currently signed up to participate. To learn more, please visit the Calculator website. Please email us at calculator@realfoodchallenge.org with any questions.